Cine, 234 W. Hancock Ave.
Dr. Erin Espelie is an assistant professor at University of Colorado Boulder with a joint appointment in the Film Studies Program and the Department of Critical Media Practices. Her films have shown at the New York Film Festival, the British Film Institute, the Natural History Museum of London, Whitechapel Gallery, Crossroads (San Francisco), the Rotterdam International Film Festival, the Edinburgh International Film Festival, the Full Frame Documentary Festival, and more. Her feature-length experimental documentary, The Lanthanide Series, examines the materiality of the digital world, combining approaches of non-fiction narrative essay, abstract visual and sound exploration, and the history of black mirrors; it recently premiered at CPH:DOX in Copenhagen. Most of her professional career in print journalism has been on the staff of Natural History magazine, where Espelie serves as Editor In Chief and as a columnist. Since 2002 her monthly column, “The Natural Explanation,” has highlighted high-caliber wildlife photographers and human influences on the environment. 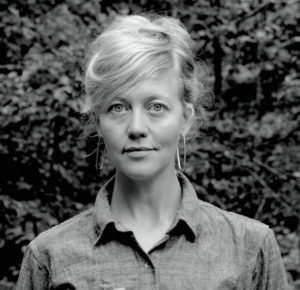 She has also worked in television production for public broadcasting and various other channels.With a degree in molecular and cell biology from Cornell University and an MFA in experimental and documentary arts from Duke University, Espelie taught courses in environmental issues and the documentary arts from 2012 to 2015 at Duke University’s Center for Documentary Studies, the Nicholas School of the Environment, the Department of Evolutionary Anthropology, and the Program in the Arts of the Moving Image. Supported in part by ICE, the Department of Theatre and Film Studies, and the Willson Center for Humanities and Arts.